The Hawaii Department of Land and Natural Resources (DLNR) proposes the release of a scale insect from Brazil for the biological control of strawberry guava. Below is a short description of DLNR's recently published draft environmental assessment (EA), which is a prerequisite to implementing its proposed action under the Hawaii Environmental Policy Act (HEPA). 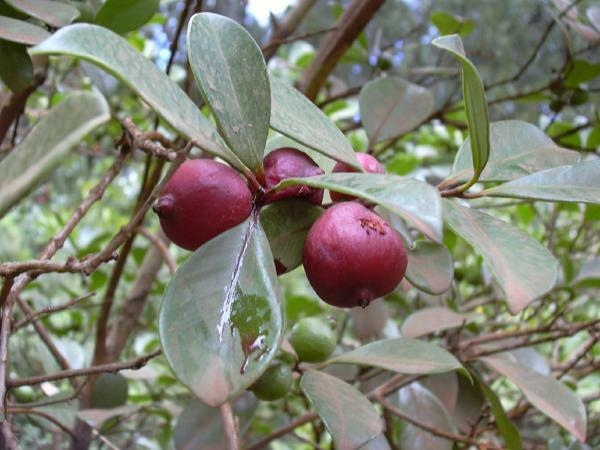 The problem, according DLNR's draft EA, is that the strawberry guava is an invasive weed and a critical threat to native forests and the natural and cultural resources they contain throughout the State of Hawaii. Since its introduction in the early 19th century, it has become invasive and has gradually expanded into most of the native lowland rainforests, becoming the dominant species over large areas. DLNR's proposed solution is to release a scale insect from Brazil, Tectococcus ovatus. DLNR considers the Brazilian insect to be "a highly specific insect that is a natural control agent producing leaf galls on strawberry guava in its native range in Brazil." The insect "is known in Brazil to reduce strawberry guava vigor by as much as 25 to 40 percent and fruiting by 60 to 90 percent." The recently posted draft EA is available for public review at the Office of Environmental Quality Control. If after considering agency and public comments on the draft EA, DLNR determines that the proposed action will not have a significant effect on the environment, then DLNR will issue a Finding of No Significant Impact (FONSI). This would allow DLNR to begin its release of the Brazilian insect into the environment. However, if DLNR concludes that significant impacts are expected to occur as a result of the proposed action, then an Environmental Impact Statement (EIS) will be required. Among other things, an EIS will require additional study of the proposed action, proposed mitigation, and additional agency and public comment. For more information see the U.S. Forest Service's website on this issue at http://www.fs.fed.us/psw/programs/ipif/strawberryguava. For a discussion on public concerns regarding DLNR's proposed action, see Feds Plan Bio-Warfare Experiment on Hawaii’s Strawberry Guava. For more on environmental issues see, Environmental Law.